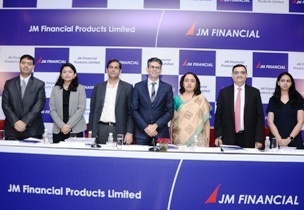 Jaipur,April 16, 2019: JM Financial Products Limited (the “Company”), a “Systemically Important Non – Deposit Taking NBFC” (NBFC-ND-SI) registered with the Reserve Bank of India, proposes to open on April 22, 2019, a public issue of secured, rated, listed, redeemable, Non-Convertible Debentures (“Secured NCDs”) of face value of Rs. 1,000 each with a Base Issue size of Rs. 200 crore with an option to retain oversubscription up to Rs. 800 crore aggregating upto Rs. 1,000 crore (“Tranche I Issue”), which is within the Shelf Limit of Rs. 2,000 crore.